Look out Santa Barbara, here comes the most unique and fun way to explore the city! Whether you are looking to book a private party, a corporate event or just take one of the daily tours of the coastal area, we have the most exclusive way to do it! 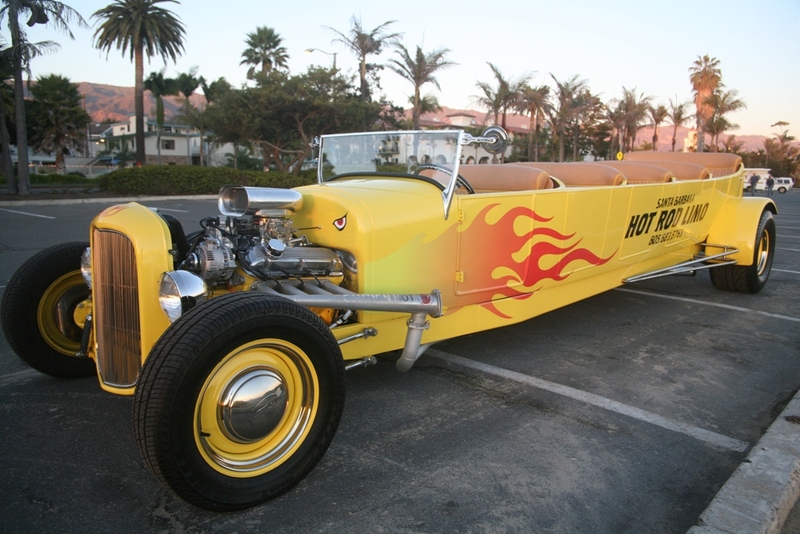 With seating for 8 people, our open-air, eye-catching, HOT ROD LIMO is the most exciting way to see the sights of Santa Barbara! Advance purchase recommended! Tours can fill up! Catch your ride on Cabrillo Blvd. just outside the Santa Barbara Visitors’ Center located at 1 Garden Street, WEDNESDAY through SUNDAY Noon – 5pm (Spring/Summer) and Noon – 4pm (Fall/Winter). 11am tour by reservation only.